Expedia Viewfinder partnered with Visit Seattle to highlight some family activities in Emerald City to check out this holiday season. 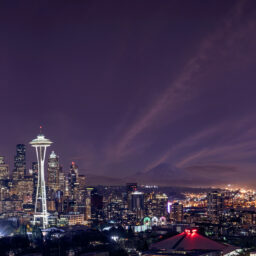 The Space Needle illuminates the skyline, lights twinkle upon the water of Puget Sound, and the snow-packed peaks of Mt. Rainier hover high overhead. These charming features make it seem as if Seattle, Washington, is always decked out for the holiday season. Between sparkling lights, indoor ice skating, and artistic displays, the Seattle Center’s annual Winterfest event offers something for everyone to enjoy. One major attraction at this festival is the Seattle Center Armory’s Winter Train and Village, which features a turn-of-the-century model train. The Winterfest Ice Sculpting is another favorite attraction, where award-winning ice sculptors create seasonal frozen masterpieces. Additional festive activities at the Seattle Center’s Winterfest throughout the season include carolers, choirs, and student showcases. Since 1949, the Argosy Christmas Ship Festival has been a popular tradition in Seattle. The lighted boat parade features on-board choirs and dinner cruises as it travels to more than 45 Seattle waterfront communities along the Puget Sound. Back on shore, groups gather to watch and listen to the floating procession of decked-out boats. Guests can purchase tickets to board the Christmas Ship, Parade Boat, or the Royal Argosy Dinner Cruise. A portion of the proceeds benefit The Seattle Times Fund for the Needy, which raises money for various charities in the Puget Sound area. 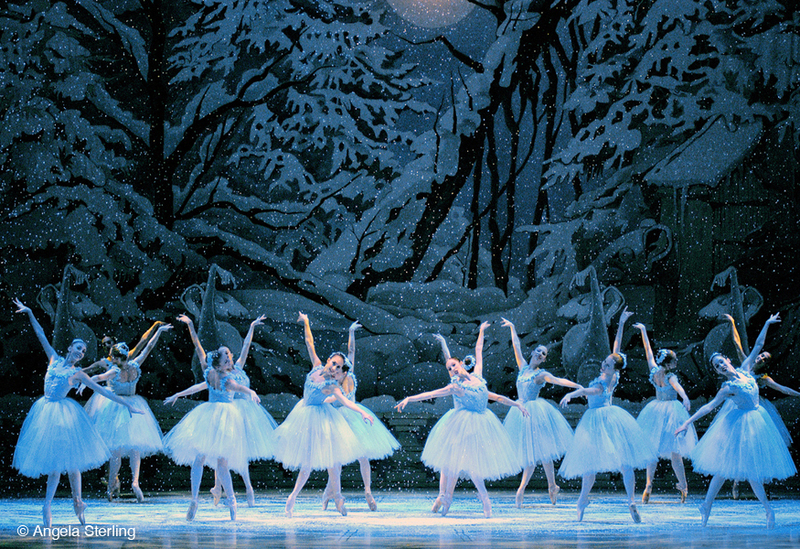 No holiday season is complete without a performance of Tchaikovsky’s Nutcracker. 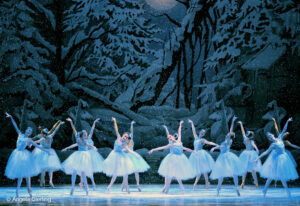 Presented by the Pacific Northwest Ballet, this whimsical show is one that audience members of all ages can appreciate. Catch the Sugar Plum Fairy and Mouse King this season because after 31 years, the Stowell and Sendak Nutcracker is performing its final run. The Sheraton Seattle Hotel Gingerbread Village is a feast for the eyes. Holiday song favorites, such as “Oh, Little Town of Bethlehem,” and “Santa Claus is Coming to Town” are interpreted into gingerbread creations. The hotel’s culinary team partners with local architecture firms to design and bake these sweet treats and edible masterpieces. The exhibit is free, but donations are accepted. Donations benefit the JDRF Northwest Chapter, which funds research to cure Type-1 diabetes. Treat the kids to a musical performance of Dr. Seuss’ holiday tale, “How the Grinch Stole Christmas” at the Paramount Theater. Under the supervision of Tony Award-winning director Jack O’Brien, this heart-warming holiday classic delights kids of all ages as the mean-spirited Grinch tries to steal Christmas from the Whos. Between winter festivals, musical performances, and coastal holiday traditions, families will find plenty to do, see, and discover in Seattle. 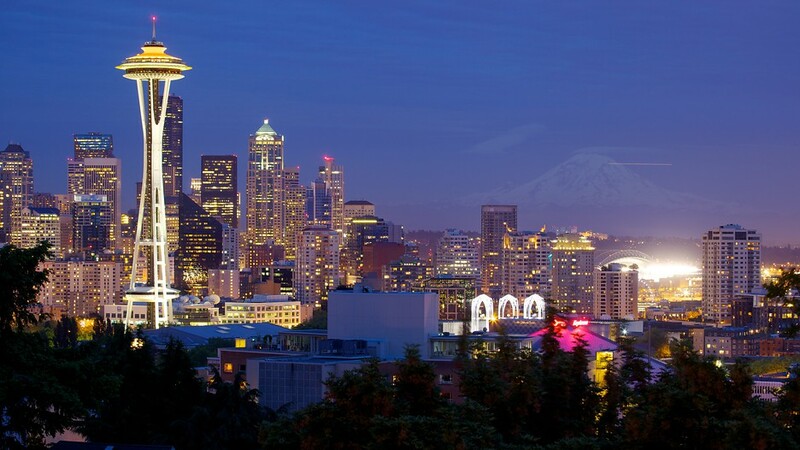 Gather up the whole gang and come experience all that the Emerald City has to offer this holiday season.